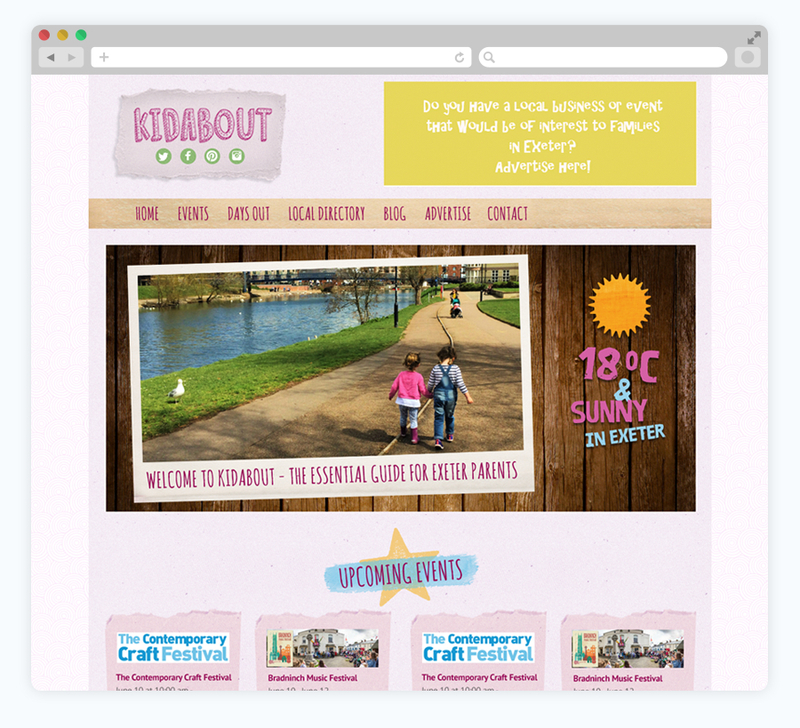 In conjunction with Bespoke Web Designs, we have designed the new Kidabout website – the essential online guide for parents living in and around Exeter. The soon to be launched website is the place to keep updated on events, places to go and local businesses. We worked closely with the client and web developer to design the home and events pages which have been converted into a WordPress website.